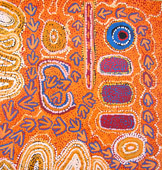 Tjungu Palya Aboriginal Corporation is a community based arts collective located at Nyapari Community in the Pitjantjatjara Lands of far north west South Australia, approximately 100kms from the Western Australian border. 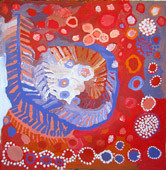 It was established in 2006 to promote, protect, and enhance Aboriginal arts, language and culture from this region. The art centre services artists living in Nyapari, Kanpi 15kms to the west, Watarru 180kms southwest and Angatja 40kms northeast. 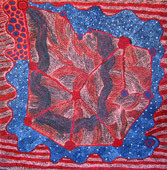 Tjungu Palya translates as Good Together and refers to this collaboration between the four communities.